RALEIGH — Gov. Pat McCrory on Monday signed into law a bill requiring voters to produce a photo ID when they go to the polls, and it was immediately met with legal challenges in federal court questioning its constitutionality. The new law brings sweeping changes to the state’s election process by reducing the early-voting period by a week, abolishing same-day voter registration and ending straight-party voting. 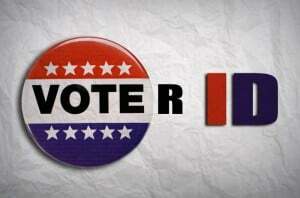 North Carolina becomes one of 34 states with some form of voter ID law. 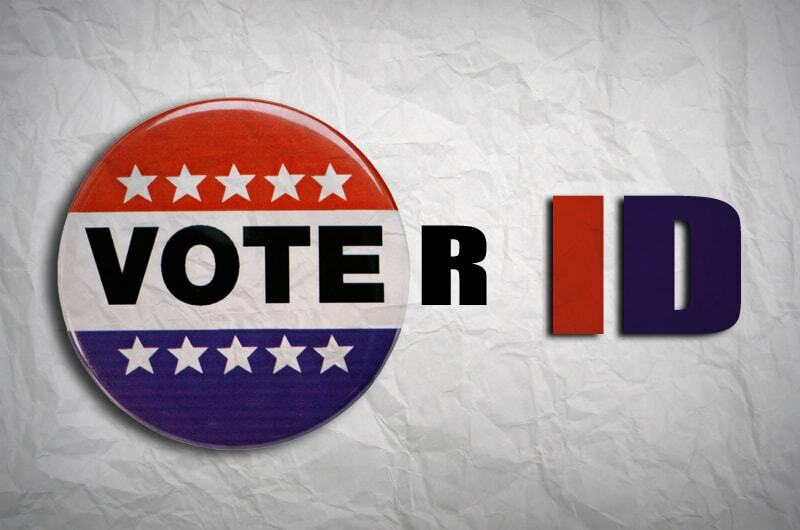 The voter ID provision goes into effect for the 2016 election. Now the fight moves from the political arena to the courts. Just hours after McCrory signed the bill, two separate lawsuits challenging the law were filed in federal court in Greensboro. A third lawsuit is expected to be filed in state court Tuesday. Congressman G.K. Butterfield also asked U.S. Attorney General Eric Holder to “take swift and decisive action by using any legal mechanisms” to protect North Carolina’s voting rights. In a speech last month, Holder said his office was going to challenge a Texas voter identification law and made it clear his office would not stop with Texas. “Even as Congress considers updates to the Voting Rights Act in light of the court’s ruling, we plan … to fully utilize the law’s remaining sections to ensure that the voting rights of all American citizens are protected,” he said. McCrory’s decision to sign the bill was no surprise. He voiced strong support for voter ID during his campaign for governor last year. The measure turned into a politically explosive issue when thousands descended on the legislature as part of the “Moral Monday” protests and many black lawmakers began comparing the bill to efforts to bring back the old Jim Crow race laws. Emotions were made even more raw after the legislature dumped a bill passed by the House after extensive public hearings, for the more hard-line measure pushed through by Senate conservatives in the final days of the session with little public airing. McCrory held no public signing ceremony as he has done with other legislation. Instead, he put out written and video news releases extolling the measure. The push for such voter ID laws began in the mid-1990s and have been passed by Republican majorities over the strong opposition of Democrats. The idea of requiring identification to vote has since become popular with the public, and McCrory cited several public opinion polls showing 67 percent to 75 percent of North Carolinians favoring voter ID. But he did not mention other polls that show other provisions in the bill – such as shortening the early voting period – are quite unpopular with Tar Heel voters. A new survey by Public Policy Polling, a Democratic-leaning firm in Raleigh, found that only 33 percent of voters support reducing early voting by a week, while 59 percent opposed it. Only 21 percent of voters support eliminating straight-party voting, while 68 percent oppose it. McCrory did not campaign on reducing early voting, and remained largely silent about the legislature’s proposal to do so. But on Monday, McCrory noted that while the new law cuts the early voting period from 17 days to 10, it still requires local county boards of elections to provide “the same amount of early voting hours” as during the 2012 election. The governor portrayed the changes as well within the norm of other states. He said a majority of states do not allow straight-ticket voting, and that North Carolina will now be one of 37 states that do not allow a person to register and vote on the same day. Republican lawmakers hailed the measure. He predicted the voting changes would withstand any legal challenges. But his Democratic colleague, Sen. Malcolm Graham of Charlotte, had a different take. In Greensboro on Monday, the American Civil Liberties Union, the ACLU of North Carolina Foundation and the Southern Coalition for Social Justice filed a suit targeting the elimination of the week of early voting, the end of same-day registration, and the prohibition of out-of precinct voting. It seeks to stop North Carolina from enacting those provisions, arguing it would unduly burden the right to vote and discriminate against African-American voters in violation of the U.S. Constitution’s equal protection clause and the Voting Rights Act of 1965. When Florida reduced its early voting period in 2012, Ho said, it resulted in people waiting in lines for hours, and hundreds of thousands of people giving up in frustration. During the 2012 election, 2.5 million ballots were cast during the early-voting period, or more than half of North Carolina’s total electorate. More than 70 percent of African-Americans used early voting during the 2008 and 2012 general elections, compared to 52 percent of white voters. The lawsuit was filed on behalf of the League of Women Voters of North Carolina, the Philip Randolph Institute, N.C. Common Cause, and Unifour Onestop Collaborative. The same group is expected to file a suit in state court on Tuesday challenging the voter ID provision, alleging that under Article 6, Section 1 of the N.C. Constitution, the legislature doesn’t have power to set new voter qualifications. Also on Monday, the N.C. NAACP and the Advancement Project filed their own suit, alleging that the law violates Section 2 of the Voting Rights Act, which bans voting procedures that discriminate on the basis of race, color, or membership in one of the language minority groups. Staff Writer Ann Blythe contributed to this report. Previous Article: Monster Voter ID Bill Signed into Law: Help SCSJ Fight Back!